You should note that if the accident is 100% your fault and their are no mitigating circumstances such as faulty equipment then you typically don’t have a personal injury case. Surprisingly many people want to claim compensation even when they are at fault. If you receive injuries as a result of someone else’s negligence then typically you’re entitled to an injury settlement. Similarly, if you don’t sustain a true injury regardless of how aggravating the incident, you typically don’t have grounds for a personal injury claim. Once you contact police, they access the situation and provide emergency service to those in needs. Once everyone is out of harms way, they will write up an accident report. The police will notate and record critical information about the accident including but not limited to witness reports, contact information, and insurance details. This information is important and will be necessary when you make your formal personal injury complaint to the insurance company. WE DON’T NEED TO INVOLVE THE COPS. If someone asks you not to involve the law or that you can settle this between yourselves, “don’t listen”. Once you leave the scene the other person can call the police and change their story. You may find yourself on the wrong end of a law suit unable to claim your injury settlement. The police report will provide the insurance company an unbiased account of the situation so that there is no misunderstanding. 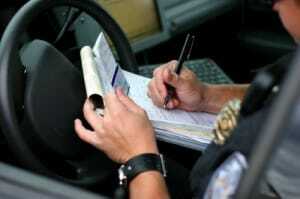 The police may miss information or misplace evidence so always write down the details of what happened as soon as possible after the accident. Continue to record any developments as the your case progresses. Your case can be in litigation for years and you don’t want to rely on memory and your notes can be a great reminder of how everything occurred. If possible have someone take pictures of the accident and your injuries. You can ask a friend or a family member to do it. With technology many people are able to take pictures with their phones. 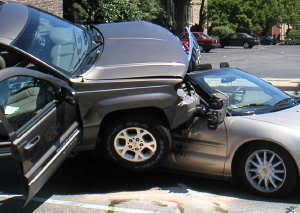 A good picture of your injuries can help the court to properly assess the damage from the accident. It can possibly increase your injury settlement amount and provide pressure for the insurance adjuster to settle your case more quickly. After the emergency medical treatment is performed, you should contact your personal injury attorney. If your in New York, please feel free to reach out to us. Our legal team will provide you a free consultation in regards to your situation. We have over 70 years of experience working with personal injury cases. We understand this maybe a difficult time for you and our team helped many people in similar circumstances. We understand some of the best ways to coupe with the situation and we can provide you insight that can potentially ease your angst. Plan on getting thorough and proper medical treatment from your doctor. Your general physician should be able to recommend a doctor that can service your injuries properly. We don’t recommended using a doctor recommended by a lawyer or a well known personal injury doctor. An insurance adjuster may know this doctor and the doctor’s record may make him/her skeptical about his or her assessment and recommendations. If for some reason, your case goes to court, the defense lawyers will exploit any possible weakness in your case. They may attempt to show that you used a doctor that typically works with personal injury lawyers and potentially paint the relationship in a negative light. Go to your personal doctor and get as much treatment as is recommended by your doctor. Treatment is not only in your best interest but in the defendant’s best interest as well. Proper treatment will help you heal and the more valid treatment needed, potentially the more you’re able to claim for personal injury damages. Proper treatment can help the defendant because if not properly treated, your injuries can be exacerbated costing the defendant more in the long run. Proper treatment is a benefit for both you and the defendant. Contact us if you been injured in an accident, we can help. Call us at (212) 255-8000 or complete our quick contact web form for a free consultation.